Finally things have started to slow down after the Volvo Ocean Race and the AC World Series so we are having a huge sale on our website for December and January. 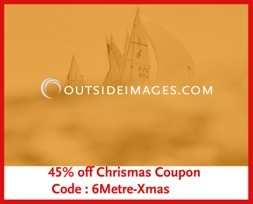 I know this was back in 2009 but there are still a ton of people purchasing images and we wanted to offer a great deal this year to the 6 Metre sailors who were either in Newport or simply like these shots. These images are timeless if you own a 6 Metre.